Finder.com research which revealed 1 in 3 Americans adults (30%) suffer from “sexually transmitted debt”. An estimated $250 billion collectively has been contracted as a result of a romantic relationship. Here’s what you should know. When you commit to a relationship there are a lot of discussions you will need to have before getting in too deep, your relationship with finances being of top priority. If you need more proof of how important this is, a recent a recent finder.com study revealed that 1 in 3 Americans are contracting sexually transmitted debt from their partner. Just like any disease, you want to be clear of the severity and you and your partner’s capacity to rid yourselves of this affliction. The only way to avoid getting yourself into a financial mess is to spark up the conversation early, lay your finances out on the table and talk about your financial future together with full transparency. Credit cards are the top sexually transmitted debt couples are taking on, with 37% of Americans claiming to have paid off their partner’s balance. If love does have a price, it’s sitting at $6,793, which is the average amount Americans are taking on from their loved ones. This troublesome number should lead couples to question whether their plastic should even be allowed to leave the house. However, credit cards aren’t the only culprit in the transmittance of relationship debt. Research showed auto loans (19%) and student loans (14%) are tagging along with romantic commitments, followed by five other loans. 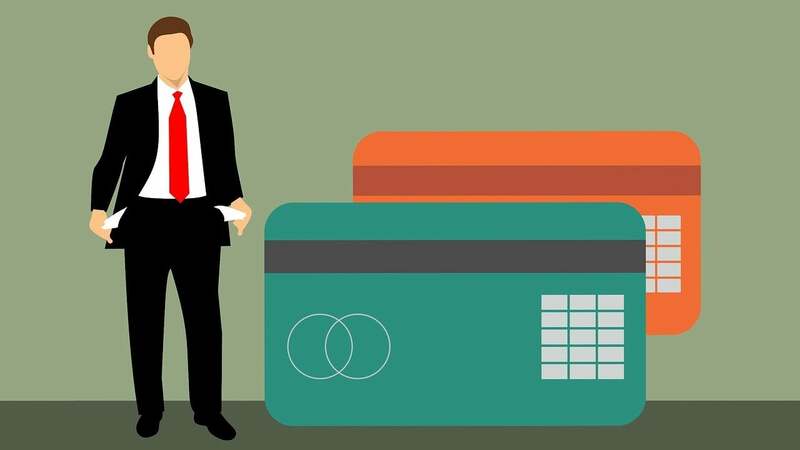 Despite credit cards leading the pack, the largest figure transmitted comes from mortgages, with one partner passing on roughly $93,149.29 to another. These numbers are alarming, and are a testament to why a clear discussion around one’s finances and debts must be had before making any serious commitments. When it comes to men and women, females are, most likely to take on their partner’s debt in four out of seven of the scenarios. But while women (27%) are contracting more debt than men (24%) due to purchases made in their name, men are more likely than women to take on more than a wedding ring at the altar, with 30% of men taking on debt due to marriage compared to 26% of women. In terms of generations, baby boomers (24%), Gen Xers (26%) and Gen Y (31%) admit the number one way they were infected is through matrimony. Unfortunately, you can’t leave it all when you exit a marriage, considering divorce settlements have affected all generations as well. These numbers prove the importance of a financial conversation early in the relationship. If brushed aside, you and your partner could find yourselves entering or leaving a relationship with more than you bargained for, and this debt could even put a strain on your relationship in the long-term. After you and your partner have “the talk,” you need to create an action plan for managing your money, and debt, together. A lot of your strategy will depend on the type and amount of debt you or your partner are taking on. No matter what, it’s important to understand the terms and conditions of the loans, and be familiar with the laws pertaining to relationships and money in your state. Divorce is not a topic couples ever want to think about, but in order to protect yourself it must be one you’re prepared for, in case it was to occur. Meanwhile, freeze your credit cards, develop your budget and perhaps look into balance transfer or loan refinancing programs that might help you reduce your interest rates, payments and get your finances under control as a couple. Jennifer McDermott is the Consumer Advocate at personal finance comparison website finder.com. She has more than 12 years’ experience under her belt in the finance, lifestyle and travel industries where she’s analyzed consumer trends. Jennifer loves to uncover interesting insights and issues to help people find better.